My friend and a spiritual mentor, the Rev. Susan Copeland, is one who understands the difference. She has made a number of pilgrimages and has written a book entitled Finding The Waymarkers: A Pilgrim's Journal for Modern Times. I have been saving the book for just this moment -- the beginning of my sabbatical season. Susan points to the story of Jacob and his trek to Haran -- both to flee his brother and to find a wife within the family. Along the way, Jacob has a dream and discovered that God was in that place where he lay. As a result of this, Jacob set up a marker as a reminder of the sacredness of that site (Genesis 28). 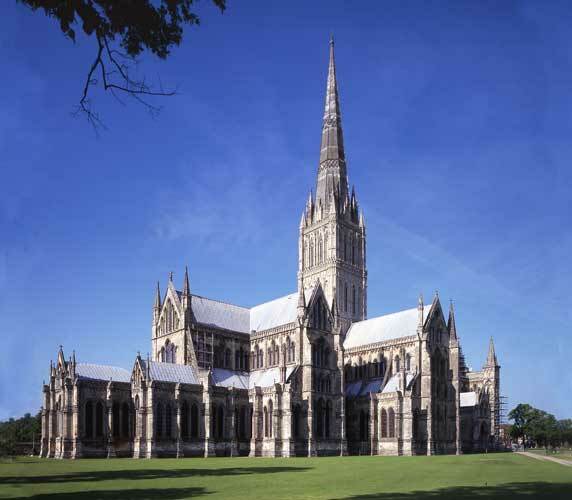 Pilgrimages often center on places of sacred importance. Pilgrimage, as a sacred practice, is being rediscovered by millions in our modern times. Learning from the ancients and adapting to conditions in our times. Learning from the ancients and adapting to conditions in our lives, Christians are rediscovering the power of intentional journey, of sacred places, of internal reflection, and, in all, of purposefully inviting God into our lives. We are seeking again the ancient sacred places of pilgrimage that have been recognized since the earliest times as places of healing of body, mind, and spirit. But we are also adapting the pilgrimage practice to a personal place of memory, our holy ground, to places where we came to know the friendship and love of God. (p. 2). Susan mentions a number of other personal sites that serve as sacred spaces for our own journeys, but as I seek to envision my own journey, there are specific sacred sites that I am focusing on. Susan notes that a pilgrimage involves a series of movements that begin with longing, and moves to preparation, journey, arrival, return, afterlife of the pilgrimage. At this moment in time, I am moving from the longing stage through the preparation stage, with the journey closing in quickly. 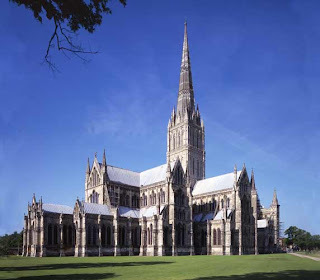 I found a picture on the internet of Salisbury Cathedral. I've not yet been to this historic cathedral, which served as the episcopal seat of Gilbert Burnet, whose Discourse of the Pastoral Care (1714) I edited and published a number of years ago. I have chosen this site to be the focal point of my journey to England. Later, I will travel to other places and there are sacred spaces that will serve as markers on the journey --including St. Luke's of the Mountains Episcopal Church in LaCrescenta, CA, which is where I was baptized in infancy. There will be other sites as well, and I hope to share my experiences here on the blog and elsewhere. I invite you to join me on my spiritual pilgrimage, so that I might encourage to embark on their journeys.